If you took the plunge last week and put Windows 10 on your Phone, you know by now that it is very much a work in progress. As I put in my initial thoughts post on the next generation of Windows for your phone, it has some rough patches and things that just aren’t working the way they should. But hey, it’s beta and that’s to be expected. That said, Microsoft has made an easy way for you to get back to Windows Phone 8.1 if you have decided that beta testing is not for you. Fortunately they have made it super easy to do and in this How To I will cover how to go about it. files you may have saved locally will get deleted in the process I’m about to show. Also make sure that you have done a backup of your phone. This is done automatically via OneDrive but you can force the issue by going to Settings>Update & Recovery>Backup>Apps+Settings on your phone running Windows 10 for Phone. On this page, scroll to the bottom and tap the Back Up Now button. Second, go to this link to download the Windows Recovery Tool. 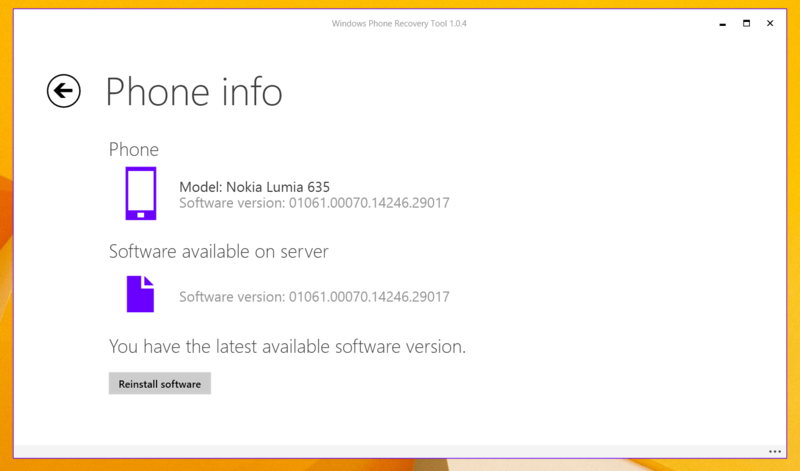 This is your gateway to getting your phone back to Windows Phone 8.1. To use it you will need your Windows Phone that you have the Windows 10 for Phone Preview installed and a USB cable to connect your phone to your PC. The recovery tool is PC only so if you are on a Mac you will need to run this in a Windows virtual environment or get your hands on a PC to run it. phone. The version numbers will be the same but don’t fret. 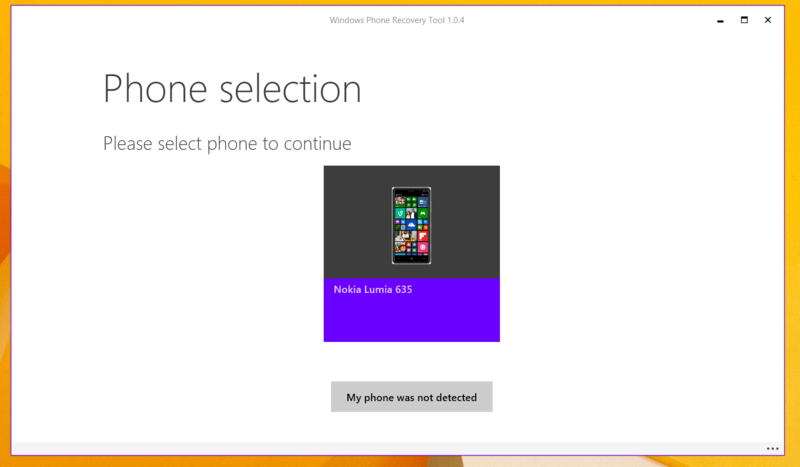 It will get you back to Windows Phone 8.1 after the process is complete. model so it may be a few minutes depending on your connection. 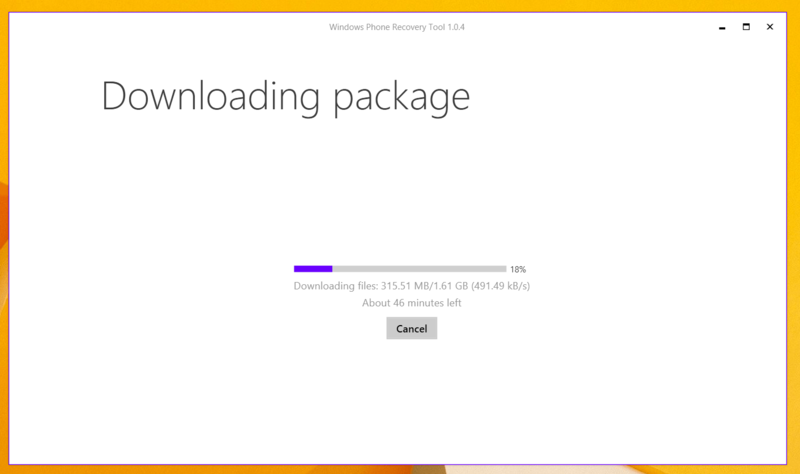 Once the download is completed the Recovery Tool will push the firmware to your Lumia and begin reinstalling Windows Phone 8.1. The app states it will take 15 minutes to do the downgrade. 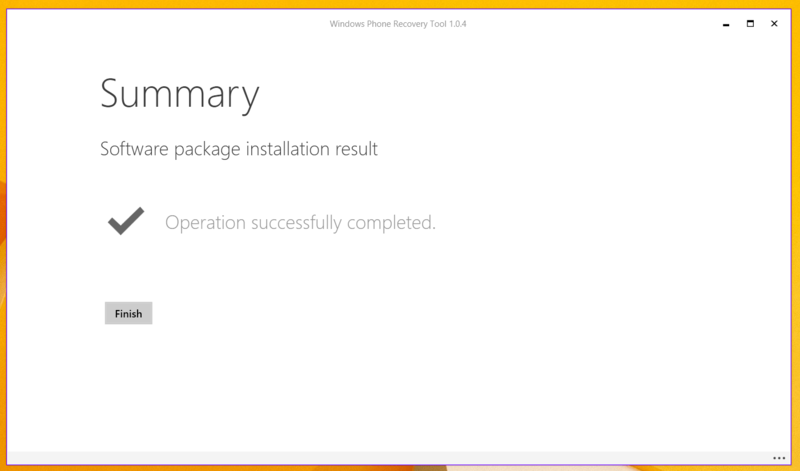 Once the downgrade is complete the Windows Recovery Tool will begin the installation process of the Windows Phone 8.1 firmware on your Lumia running Windows 10 for Phone. The install in my testing was very fast and done in less than 10 minutes but your mileage may vary. Once the download to your phone is complete you will see a Success page in the Recovery Tool and at this point it is safe to disconnect your phone from your PC. your Microsoft account then you will be given the option to restore your phone from a backup stored in OneDrive. If you want to completely start clean then don’t do a restore. For more How To’s for Windows and Windows Phone, be sure to check out the How To pages.